Frederick, MD Real Estate Explore Homes for Sale In Frederick, MD! Frederick, MD is home to two stories: Past & Present. From its colonial history to its rapid modernization, the town of Frederick is a place that blends southern hospitality with growing urbanization. Influenced by Washington D.C. and Baltimore, you’ll find more than your average “hometown” here. As the second largest city of Maryland, you’ll find a bustling city heart that caters to a strong workforce. 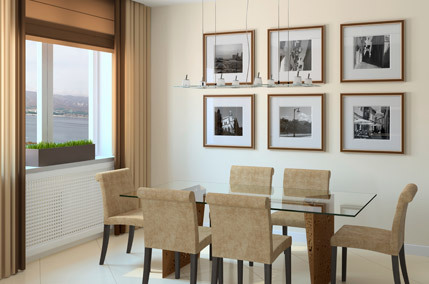 In the outlying areas, you’ll find homes that cater to a quiet, peaceful atmosphere. At the end of the day, Frederick is the right blend of comfort living and growing opportunities. With its proximity to Washington D.C. and Baltimore, you’ll find a number of public transportation methods to help you get around. The most common transportation method you’ll find in the area stems from Frederick County’s TransIT services. With multiple bus routes and shuttle lines, you can find easy transport to your workplace. If you need to commute to either Washington D.C. or Baltimore, you can hop on one of the commuter trains operated by the Maryland Transit Administration (MARC). Though Frederick has its own small airport, you can easily catch a flight from either the Dulles International Airport or Reagan National Airport. Frederick’s real estate market is dominated by colonial and contemporary architecture. Homes have been designed around a family’s needs, which is why you’ll find many properties featuring multiple bedrooms and spacious yards. Modern amenities include open kitchens, luxurious master suites, and cozy home offices. Closer to downtown, you’ll find more townhomes and condos for sale. From there, you can easily access all the shops and restaurants at the heart of Frederick. Local universities in the Frederick area include Frederick Community College, Hood College, and Mount St. Mary’s University. Other higher educational opportunities lie in the Washington D.C. and Baltimore areas. Centered around its colonial history, Frederick boasts numerous activities around historical monuments and antique shops. Within downtown Frederick, you can easily spend all day shopping around the 200 antique shops. There, you might find rich historical items or unique furnishings for your new house. If you’re looking for a more relaxed and peaceful time, you can explore the Cunningham Falls State Park, which contains a 78-foot cascading waterfall, 44-acre lake, and 140 campsites. You can also spend the weekend enjoying Frederick’s wine trail (made up of 6 wineries). If you’re looking for an exciting night out on the town, you can easily spend a luxurious time in either Washington D.C. or Baltimore. There, you can dine on hand-crafted meals and enjoy some of the hippest night clubs in the area. If you’ve been looking for a town that offers a unique blend of southern hospitality and modern urbanization, then Frederick is a town you should call home. With spacious lots and contemporary homes designed to bring you comfort, you’ll find every inch of peace you’ve been looking for. Get away from the hustle and bustle of the DC Metro area and relax a little bit. Frederick will help you discover new experiences!